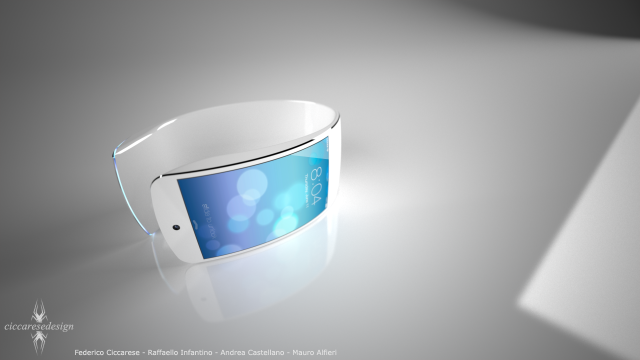 All we know about the iWatch is that Apple has filed for a couple of patents that reveal a wearable computer in the form of a bracelet, which could be the rumoured new gadget. But how does the market react to such an Apple device that retails for, let’s say — via Gene Munster of Piper Jaffray — for $350? To find out, they have surveyed nearly 800 U.S. customers (via Fortune). According to Munster, the majority of those surveyed said no — 88%. What is interesting is the 12% who reacted positively to the iWatch, meaning they are ready to shell out $350 for a wearable computing device, á lá Apple. While the number seems low — 12% vs. 88% — at first glance, the sale of the iWatch could bring Apple another $2.6 billion in revenue in 2014 only. How? It’s pretty simple: considering that only 2-4% of Apple’s global iPhone base would be interested in buying such a device, this would mean sales of up to 10 million iWatches in the first year of availability, and that is 2014. “If you assume that Apple sells 7.5 million units in the first year (midpoint of our 5-10 million unit range) at an ASP of $350 and a 30% gross margin, it would increase our 2014 revenue estimates by $2.6 billion or 1% and gross profit dollars by $790 million or 1%. His numbers are one-tenth than Katy Hubery’s, who back in February concluded that Apple could sell as many as 150 million iWatches and generate up to $15 billion extra revenue on an annual basis.